High rise structures and tall buildings must be pulled down for various reasons like the renovation efforts may not be suitable due to costs and design flaws, a landlord may want to reclaim land and raise a commercial complex. Whatever may be the reason, the technical job of building demolition should be left to experts. 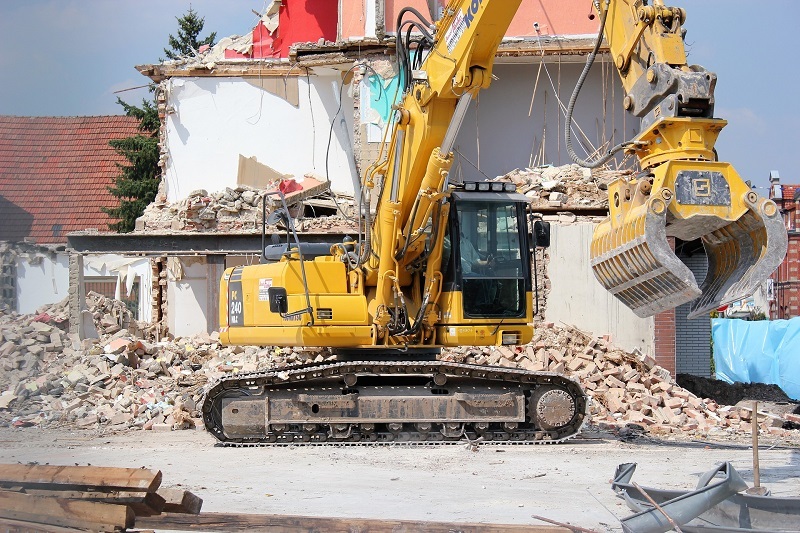 Professional demolishers have heavy machines and clearance equipment. They are well trained to manage traffic and follow various safety regulations. The demolishing team does a complete job and hands over land. Site is reviewed to assess the materials, structural integrity, electrical/pipe works, etc. A suitable technique is selected and confirmed with the assistance of landlord. The method is chosen based on the costs, location, size, shape, and other needs. A building demolition project prioritizes health, life, and safety of nearby properties. Dismantling activities are carried out in a planned, prompt, and risk-free manner. The site is cleared through material salvaging, reuse, and recycling operations. Environmental remedies are implemented as per the regulatory framework. Implosion technique is also known as the explosive demolition of a large building. Explosives are used to implode a structure i.e. make it collapse in the inward direction. Specialists have in-depth knowledge of structures, materials, and explosive applications. The dangerous explosives have only a minor part in the entire demolition sequence. The imploding method is quick, target oriented, and successful under all conditions. Licensed professionals are permitted to carry out this type of building demolition. The site preparation and material clearance are done by the primary contractors. The current trend in demolition is this popular strip-out process with recycling. Materials like wood, metal, bricks, and concrete are expensive and bulky. Some of them can be recycled and reused in new structures under construction. Main goal of selective building demolition is to recover salvageable materials. Interior walls, ceilings, floors, and utilities are removed in a stream lined manner. This is a non-threatening and effective procedure with multiple recovery options. The labour intensive technique must be perfectly planned to meet the deadlines. Costs can be lowered only if the strategy of the demolition team is accurate. Small and medium sized buildings with lighter frames are suitable for this method. A tall building that has 6, 7, or more storeys requires this heavy-duty method. Such huge structures cannot be demolished by bulldozers and excavators. A crane and wrecking ball are used to carry out the building demolition. A steel ball hangs by a steel rope and the crane operator controls the wrecking task. This bulky ball is pulled towards the crane and then released towards the building. It strikes the building and various parts crumble down instantaneously. This rough and imprecise method is not chosen by some contractors. The wrecking ball's trajectory goes out of control after it strikes the wall. High Reach Excavators can do building demolitions with great efficiency. They are selected for buildings that cannot be brought down by explosions. This dependable machine can raze to ground any structure up to a height of 300 feet. Their high reaching arms can be attached to shears for crushing concrete. Hydraulic hammers are also attached to them for removing steel parts. 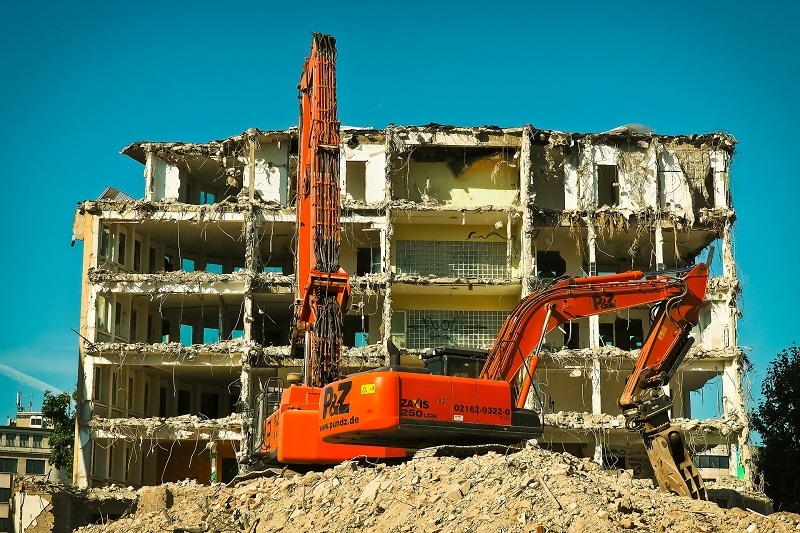 Thus, with so many ways of building demolition you can be assured of having the best service depending upon the size of the building, the speed with which you want to demolish the building and the budget.